The Russian culture of the nineteenth and the beginning of the twentieth century has a world-wide significance. Such significance may be said to attach to a nation’s culture when the values developed in it hold for humanity as a whole. 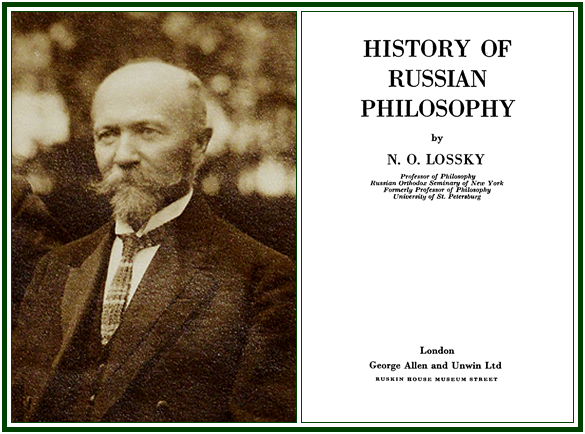 Such was the culture of ancient Greece and Rome, and, in modern times, of England, France, Germany, America; Russian culture in the form it had before the Bolshevik revolution undoubtedly also has a universal significance. To see the truth of this it is sufficient to recall the names of Pushkin, Gogol, Turgenev, Tolstoy, Dostoevsky, or of Glinka, Tchaikovsky, Mussorgsky, Rimsky Korsakov, or the achievements of Russian theatrical art in the drama, the opera, the ballet. In the realm of science it is enough to mention the names of Lobachevsky, Mendeleyev and Mechnikov. The beauty, wealth, and subtlety of the Russian language give it an incontestable right to be considered one of the world languages. In the domain of political culture, e.g., in rural and municipal self-government, law and executive justice, imperial Russia created values which will prove to have a universal significance when they are sufficiently studied and understood, and above all, when they are reborn in the postrevolutionary development of the Russian state. For persons capable of religious experience it is unquestionable that Orthodoxy in the Russian form of it contains values of exceptionally high order of excellence; they can be most easily detected in the aesthetic aspect of the Russian-Orthodox worship.